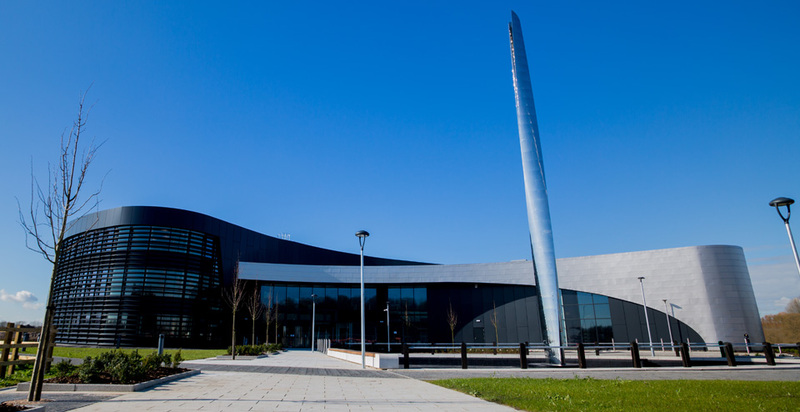 Design and construction of iHub, Derby City Council’s Innovation Centre, a development on Infinity Park, a new 250 acre commercial and technology park. 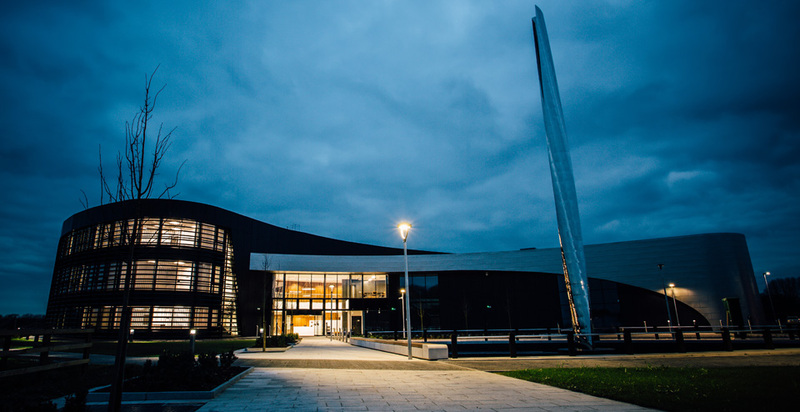 The landmark building provides office and workshop space for advanced manufacturing companies and start up businesses within the transport, engineering and equipment sector, demonstrating the region’s position as the UK’s centre for transport engineering. The centre will play a vital role in supporting supply chain companies in the aerospace, automotive and transport industries, by helping existing companies to grow and new ones to develop. 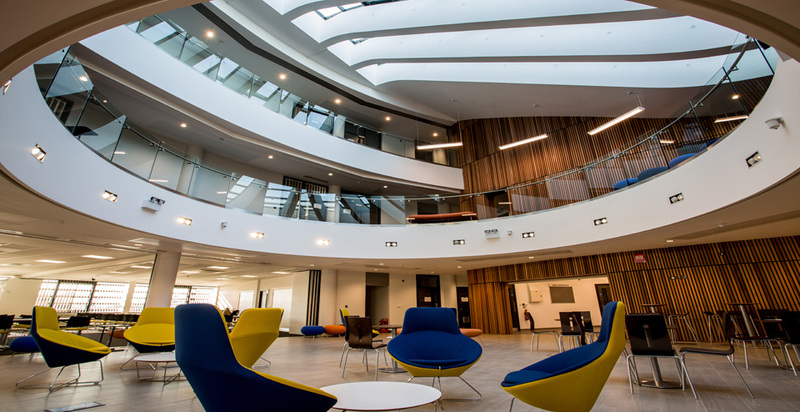 Built to a BREEAM Excellent rating, the building incorporates a number of sustainable features including 350m2 of photovoltaic panels, natural ventilation and air source heat pumps. Externally, a retention basin has been created for floodwater and to provide a natural habitat for local wildlife. The high quality materials used reflected the materials traditionally used in the transport industry. 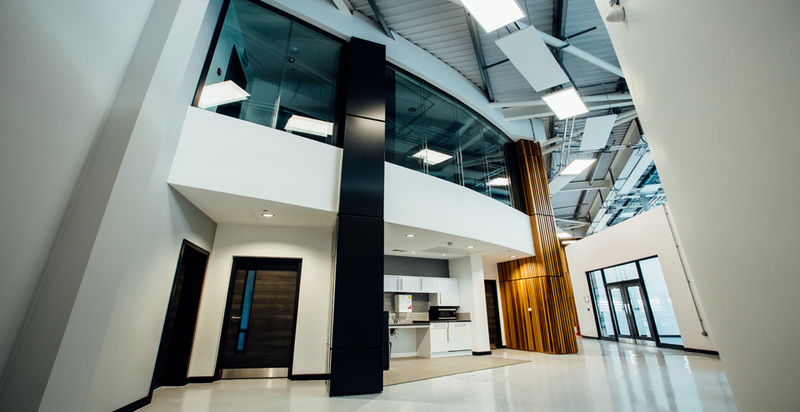 With a floor area of 4600m2 the Innovation Centre provides 14 general purpose workshops and 18 cellular offices across three floors. 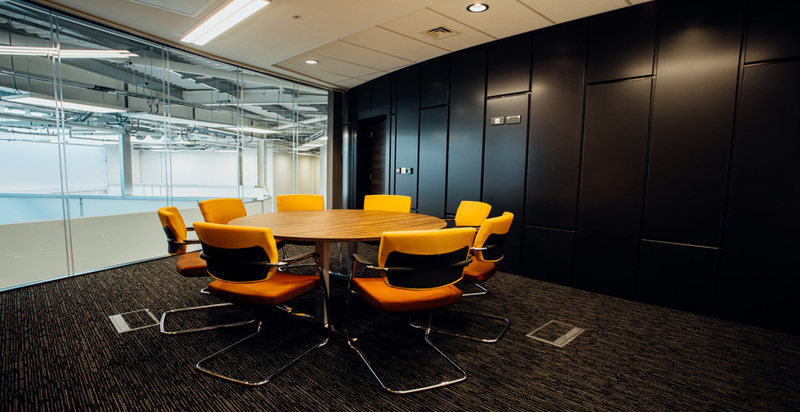 On the ground floor, offices, workshops and seminar rooms give way to a collaborative meeting space at the heart space of the building which will encourage collaboration and drive progress. 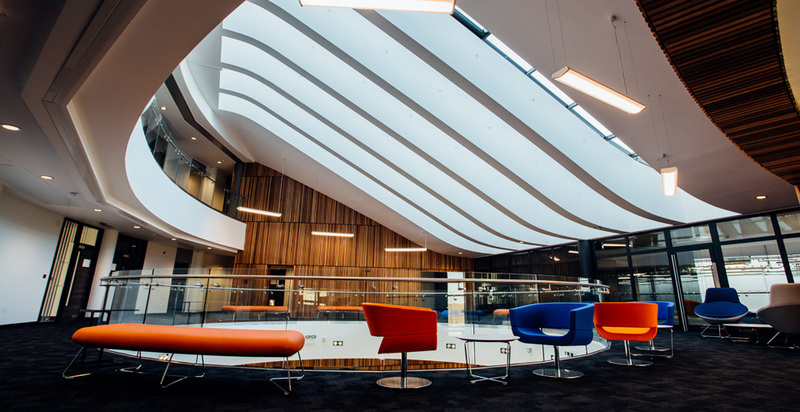 Building Information Modelling (BIM) was used to design and construct the scheme which provided the Client with asset information, to aid Facilities Management in the future running of the facility.